How Can Using Business Debit Cards for Employees Help You Track and Control Spending? Small business owners often struggle with tracking and controlling their business spending. They typically use accounting software like QuickBooks or have professionals help them with their books. When small owners reorder supplies, pay bills and accomplish other day-to-day tasks, owners typically have credit cards or petty cash available for their employees. In many instances, this leads to losses and fraud if company money is spent on private expenses or otherwise misallocated. Business debit cards for employees offer a superior alternative, allowing business owners to track and control the spending of their organization with confidence. How do business debit cards for employees work? Unlike credit cards, you pay a simple monthly rate and are safeguarded from overages and debt. A business with 10 employees can have a debit card for each person for as little as $29 per month. debit business cards for employees are even FDIC-insured up to $250,000 with Bento for Business, and they use the same type of secure encryption that you expect from banks and large companies. Simply load the amount that you want each employee to have available on their individual card. One of the best features of Bento’s debit business cards for employees is that you can limit specific cards, giving each of your employees unique spending abilities. For example, if you have an office worker whose job requires keeping inventory and reordering office supplies, you can set their card to only be used at designated office supply outlets. If you have another employee who needs to be on the road, their card can be limited to only make purchases at the pump. If the employees attempt to make purchases beyond their allowed spending categories— or beyond the allocated funds— the purchases will be declined. A recent study showed that QuickBooks is responsible for 85% of small businesses accounting. Bento for Business allows your company to export the data generated by the cards for an accountant to review in this software. You can see the balances on each card instantly by checking your dashboard. It will let you know if a card needs to be reloaded, and you can adjust it from anywhere— 24 hours a day, seven days a week— on your smart phone or PC. 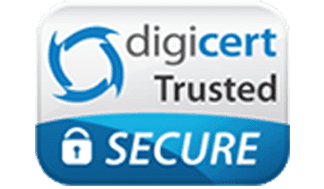 Simply sign in with your password and credentials and quickly transfer money or adjust limits on any of the linked cards. 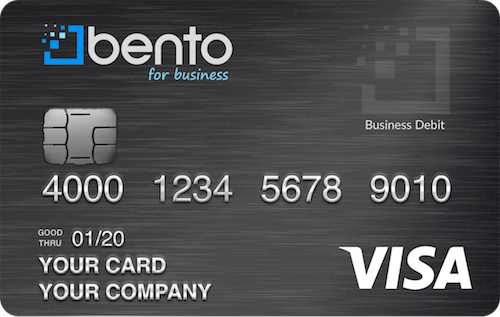 Business debit cards for employees from Bento for Business allow you to track your company’s expenditures across all the assigned spending categories. With a glance at your dashboard, you’ll be able to easily understand how much your business is spending in each category and give yourself more control over your budget. What if an employee leaves my business? If you have an employee who is let go, you don’t need to worry about retrieving your card from them. You can turn the card off immediately from your dashboard with a click of your mouse or the touch of a button. The dashboard can be accessed on your cell phone and other devices, allowing you to turn off a card whenever and wherever it needs to be done. Getting debit business cards for employees helps you track and control your expenses while preventing losses. According to a recent survey by the Association of Certified Fraud Examiners (ACFE), the average business lost 5% of revenue to fraud each year— which often added up to millions of dollars in losses. Learn more or start your free 60-day trial by filling out the Bento for Business contact form today, or call us at 866.220.8455. The support staff at Bento is here to answer any and all questions you may have.